Holiday season is upon us, which means you will be shopping for that special gift. Whether you’re looking for a new hoodie, jacket or unique headwear, QILO has you covered. You won’t have to show up to that holiday party in your Christmas sweater. For more inspiration, visit QILO’s website or Instagram, where you’ll find gift ideas or the latest about QILO. If you and your friend are getting the camo feels this season, QILO’s MULTICAM® Heavy Parka is the perfect gift or addition to your winter wardrobe. Our MULTICAM® Heavy Parka in Original, is a high performance outerwear jacket, which features a quilted black satin lining, faux fur lining on hood, gunmetal zippers & hardware, and our pineapple logo embroidered on the chest. The MULTICAM® fabric is also wind and water resistant. Pair with a matching MULTICAM® hat, one size fits all. The Altar T-Shirt concept features a triple texture design symbolizing the biblical altar sacrifice. All our graphic tees are constructed of premium cotton, and features a cool print, some of which have a matching hoodie, such as our Altar T-Shirt and one of a kind, Altar Hoodie. The Orchid concept is a collaboration between QILO and Korean Artist Ye Jin Lee. Constructed of French Terry Cotton, The Orchid Embroidered Hoodie is beautifully understated. Logo beanies are really for everyone. They’re warm, stylish and a streetwear staple. Tip: goes well with any QILO shirt, hoodie and/or jacket. Stay cozy this winter in our ultra soft MicroSuede hoodie. Available in 5 colors, get them before they sell out. Keep your head warm and in style with a hat you can rely on. QILO's signature pineapple embroidered cap is constructed of 100% cotton in Indigo Denim and Corduroy. QILO hats also come in 5 panel Multicam and MicroSuede. 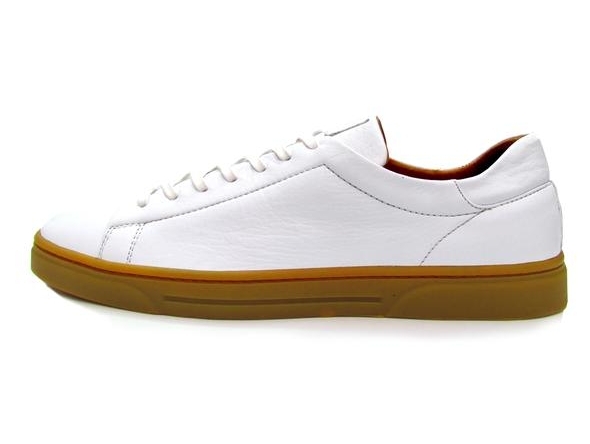 Cabarello's Blanco Low-Top Sneakers is our favorite pair to wear this season. The best thing about these is that they go with everything. Easy to wear and comfortable, pair Cabarello sneakers with QILO for a well planned outfit. WHOLE thermal series is made from high quality heavyweight thermal 100% cotton. The thermal long sleeve is available as crew and turtlenecks in various colors. The perfect gift for him (or her), be cool this winter without feeling the cold. New subscriber? Sign up with your email address to add just the right amount of fire to your Christmas or New Year.